It suited my mood to work on these two cards today. 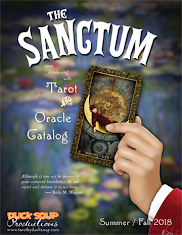 It may seem somber, but then from the very beginning I have considered "Tinker's Damn Lenormand" to be an Elegiac deck -- although most people won't see all the points of connection. And that's the way it should be. 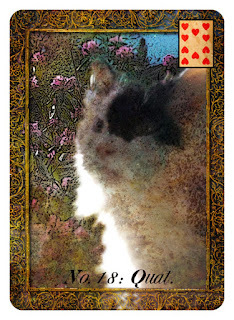 "The Cat" is of course an extra card that will be included only with the Expanded version of the deck. It's an alternative to, and shares the same numbering as, No. 18 "The Dog." This has been one of my criticisms of the Lenormand system right from the start: not being a Dog person myself, I have always thought it grossly unfair that Lenormand decks have dogs but not cats. Now CAT PEOPLE can have a deck that reflects them. 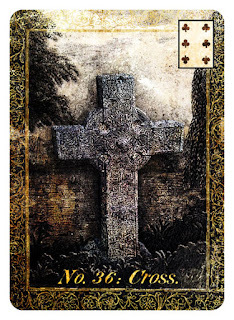 So here is the last card of the deck. I have only the alternate cards to create now (and even some of those are done). I'm planning on about 12 extra cards, of which (by popular request) one will be blank and one will be double-backed. There will be two extra gentlemen, two extra ladies, and one extra child. 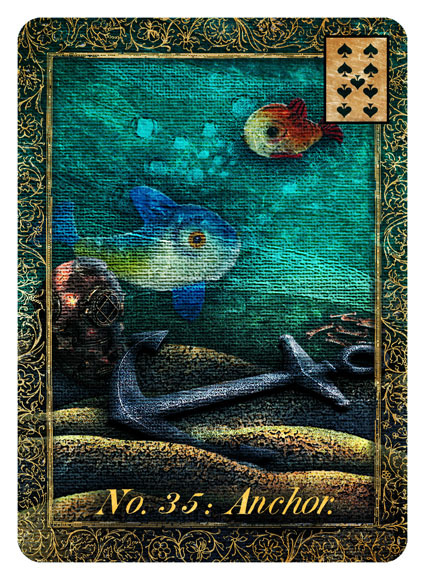 There will be a card number zero, and cards 37 and 38, each with a new image and meaning. There will be a "Legend" card with a fanciful story behind the deck that I haven't made up yet. I do have the card back still to come, too... that has been troubling me for a while now. No doubt there will be alternate backs to choose from. -- Crap, I'm further away from finishing this than I thought.